If you felt the Earth move, that was me doing the Happy Dance! I am excited and over the top happy to announce my teaching engagements for next year. I don't know where to start, so here they are in order. In January, I get to return to Hunter Heirloom in Warrensburg, MO. I just love Amy and Joe the owners, they are so easy and fun to work for. I will be teaching hands-on ruler classes(s), a feather class and a background class. Check with Hunter Heirloom for dates and times. 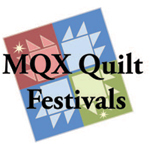 April 6-8, I will be heading to Manchester, New Hampshire to teach at MQX, New England!! I will be teaching a Hands-on Feather class, a Ruler lecture and a Background lecture! To see my classes visit the MQX site "Ann McNew Classes" and register soon, classes are filling up! Since I have never been this far east, we are turning this into a vacation, Some sight seeing on the way out, including a trip to visit my friends Dusty & Stephanie Farrell from Country Stitchin in Cambridge, PA! Then some Civil War sights on the way home. May 10-14 I will at MQS Classes in Cedar Rapids!!! I will be teaching on Tuesday, a hands-on background class and a Ruler Lecture. The rest of the week, you will find me either in Dusty's classes (that cute little assistant in the back...lol) or helping in the Country Stitchin booth, or wandering around spending money.... If you are a member of IMQA, you can register for classes now. Again don't wait too long, classes fill up fast and I would love to see you in my classes! As we start Month 5, remember - each month's directions will be posted on the 2nd Tuesday of the month, for 6 months. If you or your local quilt guild would like to use my pattern for this Mystery Quilt, please feel free. You have my permission to make copies for your guild. All I ask is that you give me credit for the pattern If you would like it in PDF format, please email me (atticthreads@yahoo.com) and I will add you to my email list. A Little More Challenging Piecing! This month you will be doing more chain piecing. My only rule for myself was to not worry about my fabrics looking good next to each other. (ok, so it still couldn’t be same fabric used twice in a block…) Just grab and sew. I chain piece all of the sets, cut apart and then press. Sew a (B) strip to each side of an (A) strip. Make 24 star blocks. Now, aren't you glad you made all those pesky HST? The end is in sight! Next month we'll be putting it all together.